Purple, yellow, green, and red—color is everywhere during Holi! Learn about this festival of colors through eye-catching photos and engaging text. 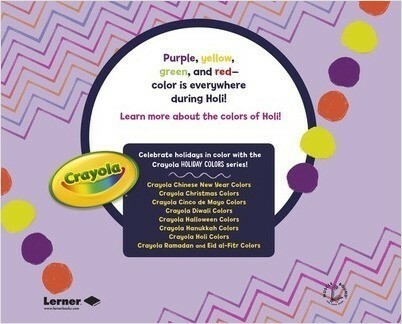 Back matter features the Crayola® colors used throughout the book and includes a reproducible coloring page.